Chances are, if you’re reading this, it’s because you love running. You have been firmly bitten by the bug and you’re thinking about your next pair of trainers, your next race or your PB. Am I right? If you and I had met at a party a decade ago, and you started talking about this stuff, my eyes would glaze over and I’d think we had nothing in common. And I’d definitely hide you on Facebook (sorry). Truth be told, you would have made me feel guilty about the fact I did no exercise. You see, I was never a sporty person growing up. School did nothing to foster a love of exercise in me. In fact, it’d done the opposite. This was thanks to a mixture of sadistic PE teachers and cross country running which felt like an instrument of torture to me. But come my mid-twenties (and by now, a decade of inactivity) I knew this avoidance of exercise was bad for me in more ways than one. I didn’t want to fall into the trap of joining a gym (and then feeling guilty about not going) – I wanted something as low key and low maintenance as possible. Strangely enough, I decided on running – the very thing I hated most at school. But I liked the idea of it requiring very little by way of equipment, time and commitment. Crucially for me, it was also private. I didn’t need to do it in a group – I could get up early and do it in my local park, on my own. 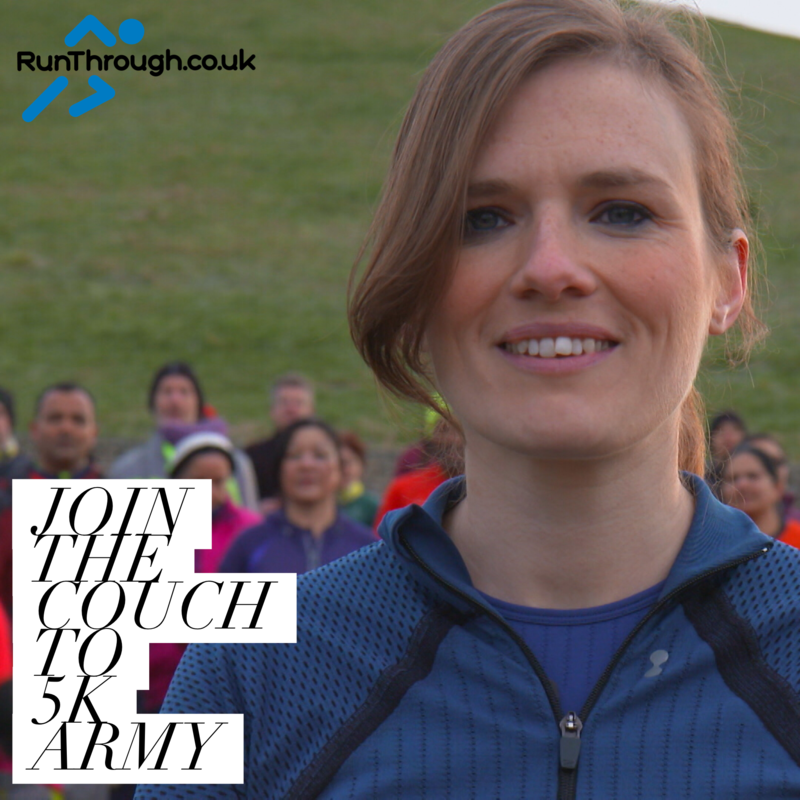 I found a plan online called Couch to 5k which lasted 9 weeks and started, in week 1, with alternating just a minute of running and a minute of walking at a time. I felt sure that even I could manage that. So off I went, with a cheap pair of trainers and a woolly hat as disguise. Fast forward to just over 9 weeks later, I’d finished the plan and was elated. I could not believe that my body was capable of running for 30 minutes. I’d gone from an exercise-phobe who ran at the crack of dawn, in secret, to telling anyone who’d listen what I’d just achieved. This included my boss. I worked for NHS.uk at the time and pitched the idea of a podcast series to him. I felt that we could turn what I used (which was just a written plan) into podcasts where someone could be in your ear, telling you when to run and when to walk and sort of cheering you on and encouraging you as you listened. Anyway, I’m not going to sign off by telling you my PB or that I now run ultra-marathons. In fact, I’ve still never run in a group or for a distance greater than 10k. And – shock horror – I have barely run for the last year because I’ve been pregnant or looking after my baby. But a bit like riding a bike, running is there waiting for me to pick up where I left off. Exercise doesn’t frighten me like it once did and I know it will be a habit for life. Instead, I’m going to ask you to think about those people in your life who might need a supportive hand getting off the metaphorical couch. It could be your colleague, your friend, your sibling, a parent or even your partner. Whoever it is, they are not alone. A huge proportion of the UK population are inactive which can have catastrophic consequences for their physical and mental health. Chances are that this person in your life has been put off exercise because it feels too daunting. They’ll say ‘I’m not sporty like you’, ‘I’ll look stupid’, ‘I don’t have the trainers or any lycra…’ ‘I’m too old/overweight’, ‘I couldn’t even run for 5 minutes!’ ‘I wouldn’t even know where to start’. The excuses they make may vary but your support could be just what they need. And Couch to 5k can take care of the rest. And if they need an extra push, here’s a message from me, a former exercise phobe who (should they wish) will be there every step of the way with them: If you can download the Couch to 5k podcast or app, get those trainers on, and just start, I promise you that you’ll be rewarded with one of the most fulfilling adventures you’ve ever been on. In 9 weeks, you will learn things about your brilliant body and more than anything – the power of your mind. You’ll gain some confidence and you may even lose some weight. You’ll feel proud and if you make it to the end, you stand to form the healthiest habit of your life.